Top row photos from left to right by Steve Kotvis for f/go, Felix Shardlow, and VC Ultimate. Bottom row photos from left to right courtesy of Keith Raynor, Jessica JAckson, USA Ultimate, and 175g Ultimate. Ulty Results’ 6th annual URCA Conference starts February 25th. Ultimate’s largest virtual meetup consists of a full 8 days of talks from the world’s best ultimate coaches, completely free. 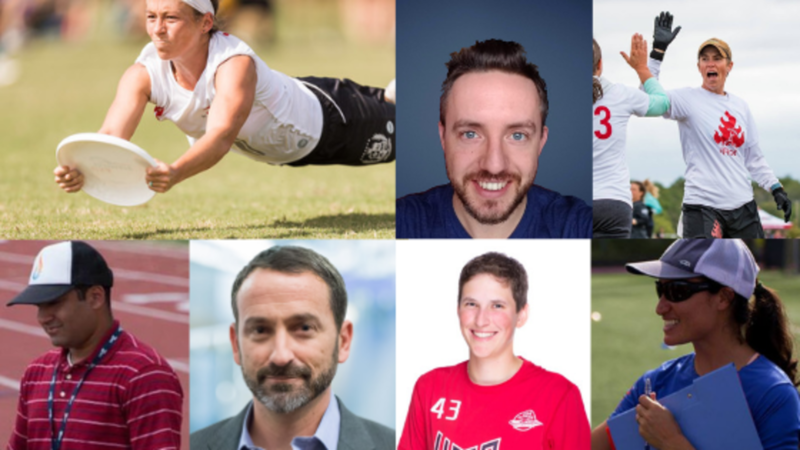 Participants join over 2000 coaches worldwide on the engagement platforms to take part in discussions that help shape the future of ultimate. This year, the conference is being organized by Avalon Igawa and Jack Dowling, two of the “behind the scenes” faces at Ulty Results. But why were they so keen to get involved? Customer service rep and community manager Avalon first discovered the URCA Conference in 2017 after a brief stint with the UAP. She stayed on the mailing list and dipped into a few talks, but it was in 2018 that a change of scenery and some new responsibilities fuelled her interest. 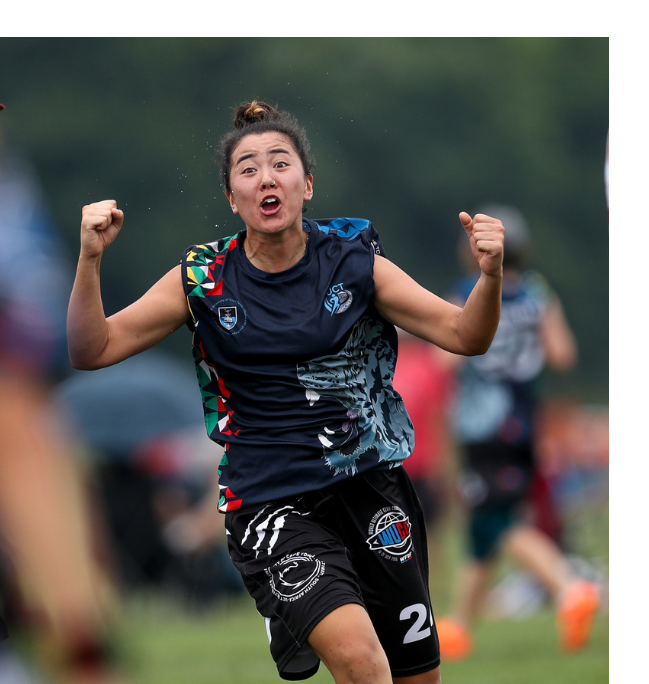 Having moved to South Africa from Seattle, she found herself an elected player-coach of Cape Town’s UCT Flying Tigers for their WUCC campaign. Such was the impact the 2018 conference had on her, Avalon became an URCA Classroom member soon afterwards and took the things she learned to WUCC in Cincinnati that summer. Now, she’s excited to be organizing the latest edition. And while Avalon is pulling together the “moving parts”, from landing pages and logistics to community engagement, URCA content manager Jack Dowling has been assembling an all-star list of speakers. For him, the opportunity to work with an ensemble of elite thinkers on the game was a dream job, as he explains. “I stayed up late every night last year watching all the talks and taking notes on them. After the conference, I saw a job opportunity with Ulty Results that was basically doing that professionally! When Melissa asked if I wanted to help organize this year’s conference, it was an easy decision. With his enthusiasm for the ideals behind the conference, it’s no surprise he’s been working on getting even more out of the line-up. He’s gone out of his way to get bonus content for the conference by starting the URCA Podcast, where he chats to some of this year’s presenters. 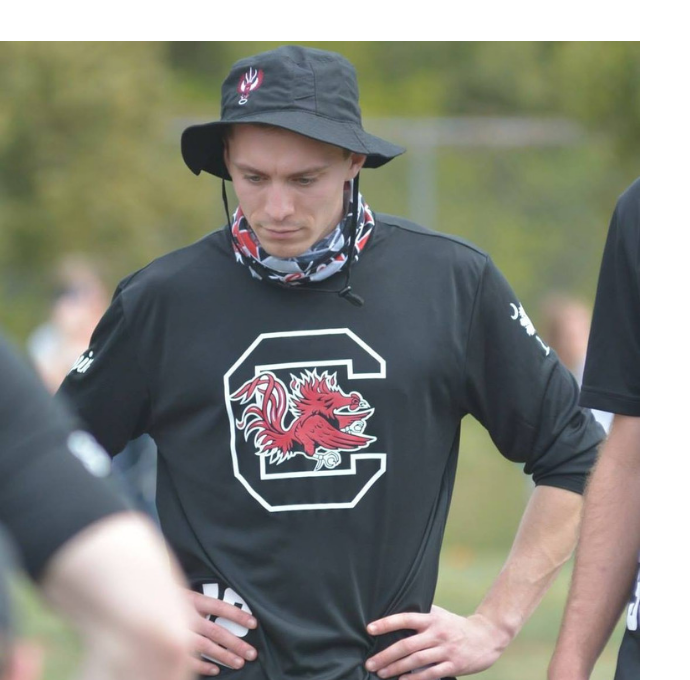 One of his first podcast guests is an obvious source of excitement: Bryan Jones, the defensive mastermind behind PoNY’s dismantling of the Revolver offense during their 2018 Nationals win. To sign up for the 2019 URCA Conference for free, visit the registration page today!